To truly understand how the Internet and Web are organized and function requires knowledge of mathematics and computation theory. 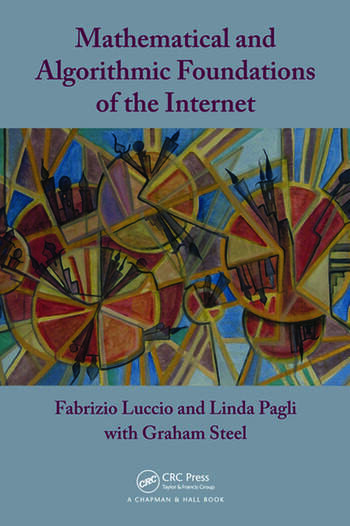 Mathematical and Algorithmic Foundations of the Internet introduces the concepts and methods upon which computer networks rely and explores their applications to the Internet and Web. 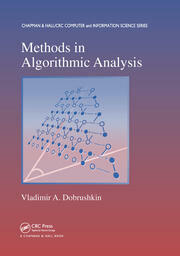 The book offers a unique approach to mathematical and algorithmic concepts, demonstrating their universality by presenting ideas and examples from various fields, including literature, history, and art. 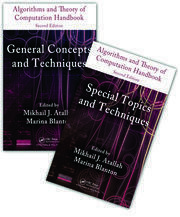 Progressing from fundamental concepts to more specific topics and applications, the text covers computational complexity and randomness, networks and graphs, parallel and distributed computing, and search engines. While the mathematical treatment is rigorous, it is presented at a level that can be grasped by readers with an elementary mathematical background. The authors also present a lighter side to this complex subject by illustrating how many of the mathematical concepts have counterparts in everyday life. 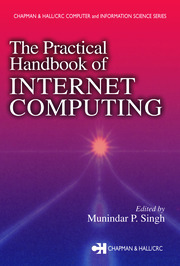 The book provides in-depth coverage of the mathematical prerequisites and assembles a complete presentation of how computer networks function. It is a useful resource for anyone interested in the inner functioning, design, and organization of the Internet. Fabrizio Luccio and Linda Pagli are professors of informatics at the University of Pisa. Graham Steel is an INRIA research fellow at LSV, CNRS & ENS de Cachan. … a succinct introduction to the technical side of the computational science that supports the internet. … The book’s prose is exceptional. The authors are clearly skilled communicators and have undertaken a substantial effort to make the text enjoyable. … a superb read for their targeted audience of curious people. … I would consider using this text in a first-year seminar within the undergraduate curriculum, a setting for which it seems perfectly well suited. This book is an interesting (and oddly charming) look at just a few of the interesting mathematical and algorithmic facets of the Internet and the Web. … I found it quite an enjoyable read—there were interesting viewpoints on several topics … . It was nice to read a technical book that combines fun and serious information. Overall, a good introduction to the logical problems of the Internet. Recommended. Networks are everywhere in our lives from the Internet to biological, social and financial networks. The authors have provided a lively, masterful, but easy-to-read introduction to a complex subject by enriching mathematical concepts with delightful paradigms and historical material. A pleasure to read for all students.